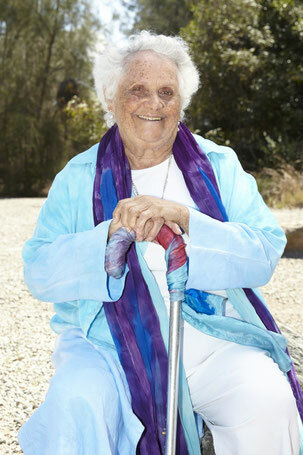 Bundjalung-Munajali woman Euphemia Bostock is a Founding Member of Boomalli Aboriginal Artists Co-operative, for which she designed the Boomalli logo. She has worked across a variety of media including textile, sculpture and printmaking since the 1960s. Euphemia, and her brothers, Lester and Gerald, were founding members of Sydney’s Aboriginal Black Theatre in 1972. Her clothing designs were showcased in Paris at the Au Printemps Department Store exhibition - Australis Down Under. Other exhibitions include the Museum of Sydney’s Bamaradbanga (to make open) in 1999, and Tactility – two centuries of Indigenous textiles and fibre at the National Gallery of Australia (NGA) in 2003. In 1999 a section of Euphemia’s most recognisable work, the Possum Skin design screen print, was reproduced on an Australia Postage Stamp. Euphemia’s works are held in the collections of the National Gallery of Australia, Powerhouse Museum and the National Museum of Australia. In 2001 Euphemia produced a collaborative Reconciliation Sculpture with artist Jan Shaw for Macquarie University’s Sculpture Garden.